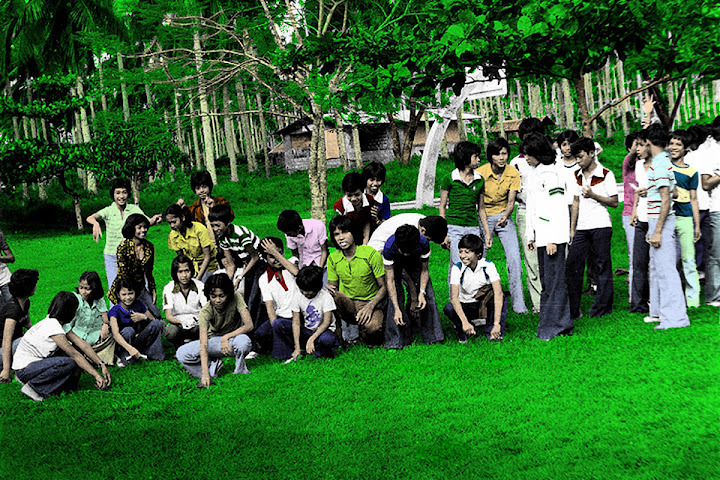 The picture above was the most difficult colourising job of this series because there are so many people and other elements to it. That said, finishing it gave me the most satisfaction because the end result was so vivid and really came alive. 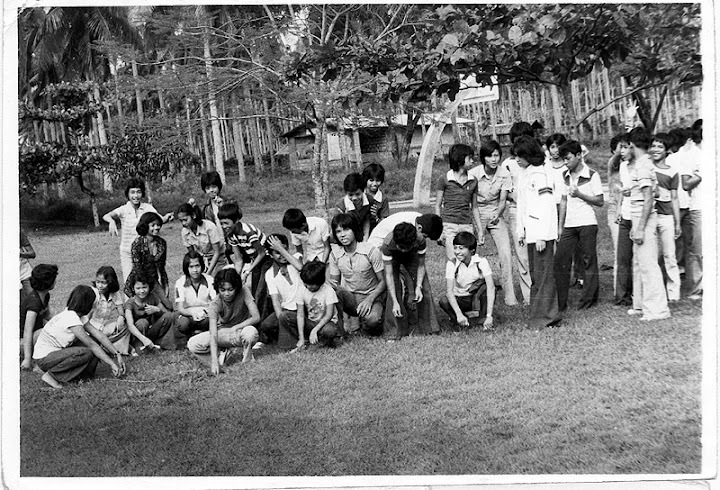 I am guessing that this was taken during a class recollection of some sort just behind the basketball court; and probably late seventies judging from the flared pants and long hair. This empty patch of grass used to be my alternate football field for kick-around small games; but of course in the early nineties the 1000- and 1100 two-story building was built over it to accommodate the surge in enrollment.